CEDAR CITY — One adult male and one juvenile male were arrested Tuesday by the Iron County Sheriff’s Office following a traffic stop to investigate reports of a kidnapping. The Cedar City Communications Center broadcasted an attempt to locate on a vehicle traveling south on I-15 through Utah. The broadcast stated that a juvenile in the vehicle had contacted her mother in Denver, Colorado, claiming she had been kidnapped the previous night. Iron County Sheriff’s deputies, along with members of the Utah Highway Patrol, located the vehicle — a silver, 2008 Ford Fusion — and conducted a traffic stop on the vehicle, according to a press release from the Iron County Sheriff’s Office. Three juvenile females, one juvenile male and one adult male were found in the vehicle. During the course of the investigation, it was learned they had traveled from Denver and were on their way to Las Vegas. It was determined, through the investigation, that no kidnapping had occurred; however, small amounts of marijuana, drug paraphernalia, alcohol and stolen property were located in the vehicle. The juvenile male was booked into the Iron County Juvenile Detention Center for “Not a Drop” DUI, possession of marijuana, possession of drug paraphernalia and possession of stolen property. 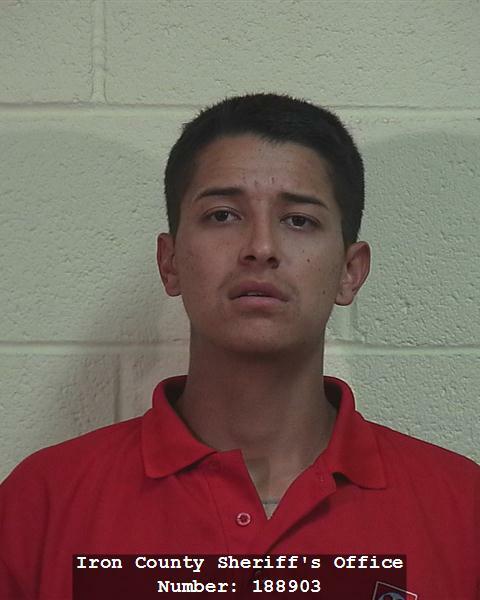 The adult male, Nathan Rodriguez, of Denver, Colorado, was booked into the Iron County Jail for furnishing alcohol to a minor, possession of stolen property, possession of marijuana and possession of paraphernalia. The Iron County Sheriff’s Office said no additional information about this incident or the arrests is being released at the time of this publication. Any body Beleb in science. Bobb er is perfect exampol dat emeba can climb from sewer make him into a complete pooper bobber. Tank chew bobber make me laugh. I tink of you and how smelly you must be, with your brown mud texture wit corn stuck all ober you self. And only a few sting hair ober your point head that was donated to you by your best friend anuskoolaid. Thank you YUNGCHAG! I couldn’t have said it better myself! Ha! Ha! Ha! If it was teenagers running away from the abuses in the polygamist communities, southern Utah police would have captured them and taken them back to the abuse of the polygamists. How many times did Uncle Warren crossed state lines with underage females for recreational activities with them?